Situated in the southern part of the Cancuns hotel zone, one of the best touristic areas of the world, the elegant and contemporary style Seadust Cancun Family Resort enjoys an excellent location on one of the regions most beautiful beaches. The hotel features a fantastic water park with slides, castle towers and a huge pirate ship. Cancun International Airport can be reached within 15 minutes by car. This gorgeous hotel enjoys a fabulous location in Cancun seafront, just a few steps from the famous Kukulkan Boulevard and a short car drive from the city centre. Surrounded by swaying palm trees and just steps from the white sandy beach bathed in crystal-clear turquoise waters of the Caribbean Sea, this wonderful property is an ideal destination for all those wishing to unwind and charge their batteries. The establishment boasts spacious and light-filled double and triple rooms. Each of them features natural hues and charming décor to induce a homely atmosphere. Patrons may relish the opportunity to savour delicious dishes in a relaxed ambience of the traditionally-decorated hotel restaurant. Afterwards visitors may have a refreshing plunge in the dazzling outdoor pool, play tennis on the on-site court or unwind on the sun terrace provided with deckchairs. 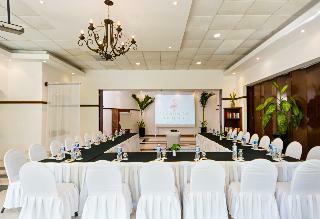 Situated in the renowned tourist resort of Cancun, this fabulous hotel is an ideal place to disconnect from daily routine. Travellers will find themselves within amazing sandy beaches, stunning natural beauty and strategically situated to explore rich local heritage. Cancún International Airport is situated within 22 kilometres away. Set just a few steps from pristine beach surrounded by turquoise waters of Caribbean Sea and only a short stroll from the city centre with multiple restaurants, shops and entertainment venues, this property is the perfect place for a relaxing getaway. Visitors will revel in large and cosy rooms which offer an oasis of peace and tranquillity. The on-site restaurant immerses visitors into Yucatan and Mexican flavours, which might be followed by a drink from the bar. Patrons may refresh themselves with a plunge in the pool or relax in the lavish garden. 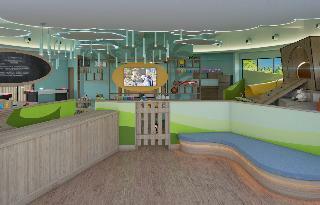 The establishment also features business centre and parking for added convenience. The hotel is conveniently located in one of the largest and most beautiful sandy beaches of Cancun, close to a number of dining and shopping venues. This exclusive luxury establishment is surrounded by elegant gardens and offers the best live entertainment, music festivals, and in-house facilities. It is the stage where imagination and fun know no bounds. Plenty amenities and various services are offered in order to provide maximum comfort. Guests may make use of the outdoor swimming pool with poolside snack bar, the tennis courts and the in-house gym. Sun loungers with parasols are laid out on site and on the nearby sandy beach. 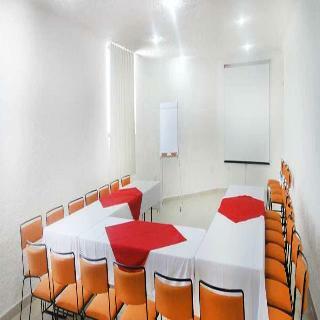 Situated in the Cancun area, next to the pier for daily departures for Islas Mujeres excursions, close to bars, restaurants and shopping centres, this hotel is in a prime location. 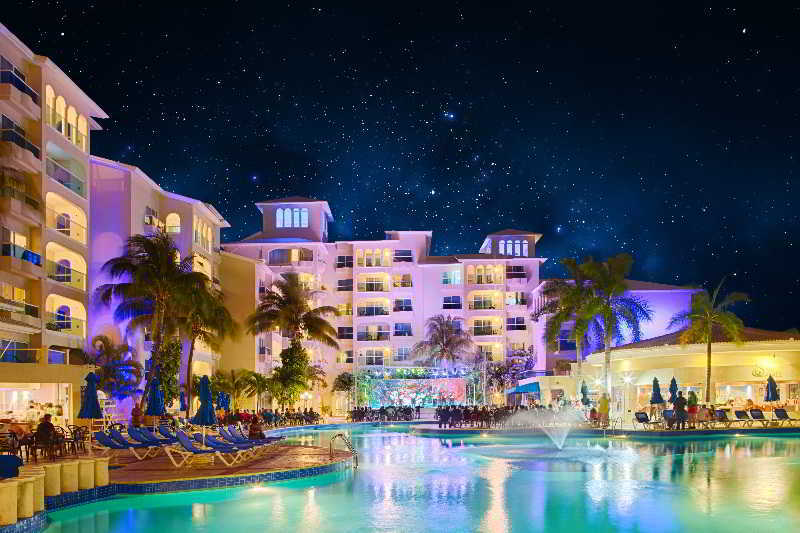 With its family atmosphere, that Mexican flair reflected in the gastronomy, activities and entertainment. 10 restaurants, 7 bars, 2 swimming pools, a Kids' Club with restaurant, and many activities and programmes ensure the little ones' enjoyment, a 60 metres long beach. There is a Spa with a full range of beauty treatments, 4 convention rooms fitting up to 500, a convenience store and shop. 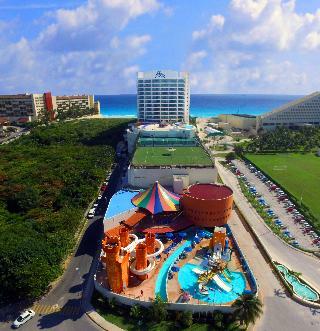 The resort is located in the hotel zone in Cancun, just 20 minutes away from the International Airport. The hotel communicates with the sister resorts in the area, and offers outdoor swimming pools with loungers and parasols, where guests can relax. The resort also features a spa and a fitness centre as well as a plenty of activities for families and groups of friends. Guests will be able to step onto the cool, white sand and listen to the soft murmur of the waves from their loungers. Guests staying at the hotel can choose from a wide variety of dining options: from Italian cuisine and fresh seafood to international dishes. There are also several shops and supermarkets for added convenience and a helpful staff to help guests with anything they may need to make their stay a memorable experience. Situated next to the white sandy beach, the friendly, welcoming Flamingo Cancun Resort enjoys a great location in the hotel zone of the popular holiday resort of Cancún. The rooms offer fantastic views over the turquoise waters of the Caribbean Sea in the east and the secluded Nichupté Lagoon in the west. Flamingo Mall is only a few metres away; Cancún International Airport can be reached within a 20 minutes' drive. The Mediterranean style beachfront hotel Barceló Costa Cancún enjoys a fantastic setting directly on the beautiful Playa Linda beach, with views to the eternal blue of the Caribbean Sea. 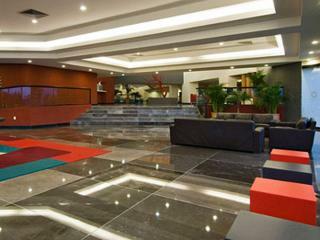 It features 4 restaurants, a lovely pool landscape, a fitness centre and a spa area. Golf courses, shopping centres and nightlife are within easy reach; Cancún International Airport is within a 20 minutes drive.